Last February Malaysia Airlines joined the oneworld alliance. 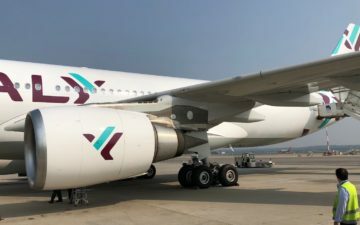 While oneworld already had strong members in Cathay Pacific and Japan Airlines, it was nice to get a bit more coverage in Southeast Asia, which is a gap that Malaysia Airlines nicely filled. While Malaysia’s 747s used to have first class cabins, they’re now retired, meaning the only Malaysia Airlines aircraft remaining with first class cabins are their A380s. Their longhaul A380 routes are to London Heathrow and Paris Charles de Gaulle. While they don’t have the world’s best first class product, I was really pleasantly surprised, all things considered. The crews were friendly, the food was great, and while the seats weren’t fully enclosed, they were incredibly spacious. 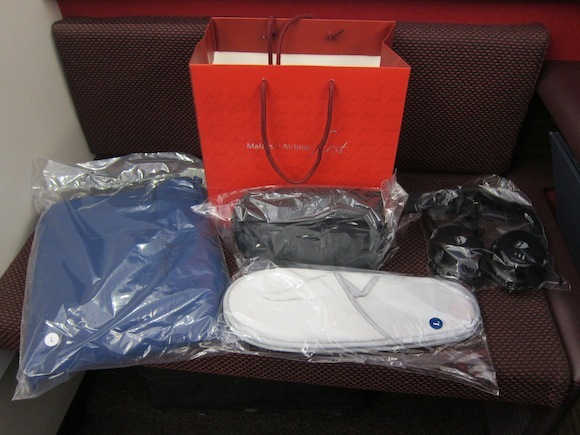 When Malaysia Airlines first joined oneworld they released a ton of first class award, often 2-4 seats per flight. This is a trend we see fairly often with airlines that just joined an alliance. When only their own program members have access to award space there’s not much competition for award seats, especially for an airline like Malaysia, which doesn’t have an overrun frequent flyer program. Meanwhile when an airline like that joins an alliance, they’ll often dramatically scale back on award availability. And that’s what they did around last June. At the time they weren’t releasing any A380 first class award availability to Hong Kong or Paris, and at most one first class award seat per flight to London. I’ve received a few questions lately about Malaysia Airlines’ current patterns for releasing first class award space, so figured I’d provide an update. For the most part the update is simply “business as usual,” unfortunately. If you’re traveling alone and planning in advance, snagging Malaysia Airlines first class award space isn’t impossible. Otherwise it’s unfortunately more or less out of reach. Learn about La Compagnie, which will be launching all business class 757 service between New York and Paris. Is there any chance they'll succeed? Which airlines consistently release first class award space close to departure, and which don't? This can be the trick to an awesome last minute trip. I thought you said we were one step ahead of the airlines when it came to earning and burning miles. Why isn’t that working here? Maybe the airlines are one step ahead of us 99% of the time and we’re just perpetuating the myth that rare exceptions have somehow become the rule. @ Dax — You have plenty of choices for which airlines you can redeem miles on. Cathay Pacific and Singapore Airlines consistently release first class award space for two people. 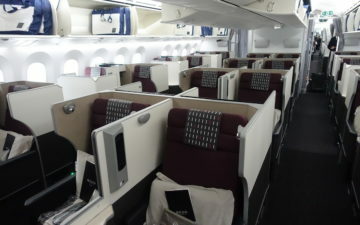 Actually, being able to redeem for two people in Singapore Suites Class to the US is NEW, so isn’t that a net positive? And need I remind you that up until last February you couldn’t even redeem miles (other than their own currency) for Malaysia Airlines first class. 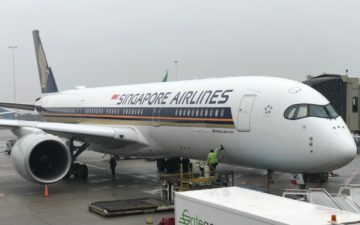 @Dax, if you earn miles on malaysia enrich frequent flyer program, award availability is a lot better for its members than for its partners members. What would be the best way to search for CX award space when redeeming with Dividend Miles? @Lantean, i don’t think MH Enrich is a program worth pursuing unless it becomes an Amex MR or Chase UR or SPG airline partner here in the USA. Enrich miles expire after 3 years regardless of activity and you only earn 0%-25% miles for the cheapest economy tickets. 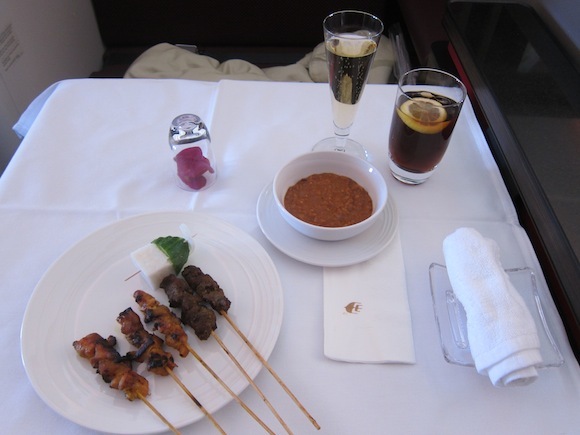 Best way to earn Enrich miles is by flying heavily discounted business class tix. Given the recent events with MH (losses the past 3 years, MH370, corruption, etc.) i’m not even sure whether this airline will be around in a few years. what about economy award availability please? your screenshots show “cabin not operated on this flight”…kinda strange, no? :O And no BA fuel surcharges! KUL-CDG oneway is pricing out at 90k Avios and only $25 in F.
@ Mr. Cool — Economy availability tends to be quite good on Malaysia Airlines. The “cabin not operated” refers to premium economy and not economy. Surprised they don’t release more space closer to departure. Interesting to hear their FF program members get more availability and, I suppose, one seat for partners is still better than none.